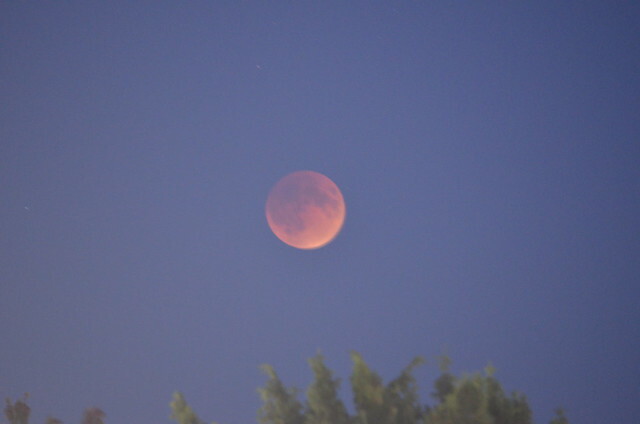 Hundreds of moongazers showed up at Louisa Boren Park Sunday night — many packing rather amazing camera set-ups — for a view of the blood moon total eclipse from Capitol Hill. 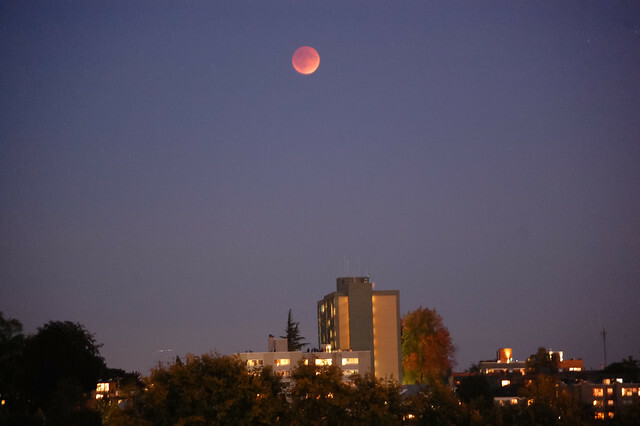 Enticed by a clear-for-Seattle sky and the rare convergence of the full moon nearest the fall equinox, the moon at its closest approach to Earth for the year, and the eclipse, the Super Harvest Blood Moon shooters were joined by a crowd of skywatchers in the park overlooking Lake Washington along 15th Ave E’s eastern flank. While the totality phase of the celestial event began above Seattle at 7:11 PM, it took a good chunk of the 72-minute phase for the show to get to the good part on Capitol Hill. Once the moon was high enough to get above the horizon’s haze and the sky darkened, the moon glowed red and only a little ominously as the bright silver shine of the sun’s light began to again fully reflect back to Earth. If you missed it, no worries. You’ll have another opportunity in 2033. This entry was posted in News, etc. and tagged 15th Ave, celestial events, hilltop, louisa boren, nature, volunteer park by jseattle. Bookmark the permalink.